What’s more important to you on a hike, saving weight or time? This is currently one of the biggest debates raging on the trail circuit and the question every Half Dome hiker asks themselves at the advent of their 16 mile journey. To say that hikers in higher altitude need to stay hydrated is an understatement, but the real question is how much is too much water. How much water you need differs from person to person. It depends on many factors including body mass, physical activity levels, conditioning, and climate. The general rule is to drink a liter an hour during high levels of activity, but it would be absurd to think a hiker should carry close to 3 gallons of water for a typical 12 hour Half Dome hike. You would like to stay a little closer to that model on a backpacking trip when you can easily update your water supply at nearby streams and lakes. On a normal day hike, I tend to consume about 10-12 ounces per hour of hiking so I bring 40 oz. on a 4 hour hiker and 100 oz. on a typical 10 hour hike. It’s always important to bring a little extra because you never know exactly how long a hike will take. If you don’t know how long it will take, you can estimate hiking about 3 mph on flat ground, 2.5 mph with some hills and closer to 1.5 mph with steep elevation gains. 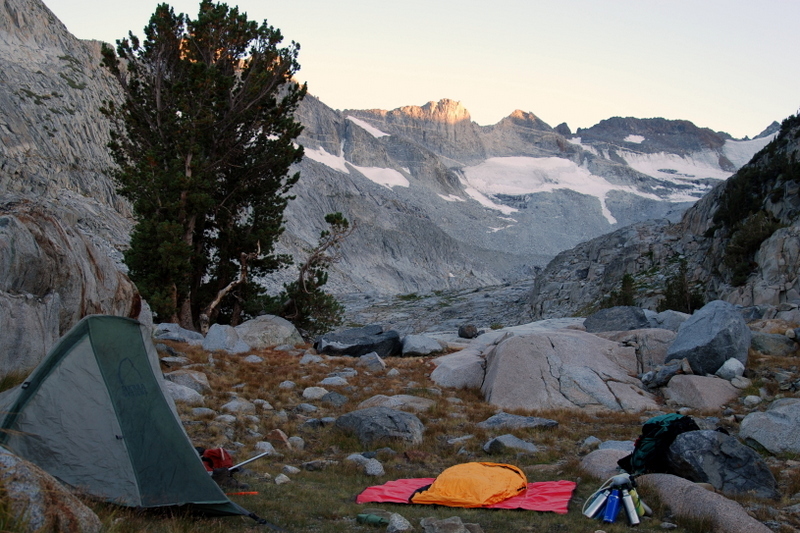 Backpacking is a different ballgame. You should always use maps to find where water supplies are on your route and prepare accordingly. It’s never a good idea to drink untreated water in the wilderness so I carry a Katadyn Hiker water filter and 1-3 Platypus 2 liter water bottles depending on the size of the group I am leading. Back to the Half Dome hike. We typically recommend carrying 120-140 oz. of water on this hike. Some people will say that is too heavy because the trail follows the Merced River, and there are a few ideal spots to treat water; but I like to save that valuable time to reach the summit. Pumping water is a time consuming process. It’s my opinion that time is better spent reaching the summit. I always carry my filter and can always pump in an emergency. A good alternative is to wait until the return trip where it can be beneficial to cool sore feet in the river before making the final descent to Yosemite Valley. Another important way to prepare for this and any other Yosemite adventure is to pre-hydrate. I like to drink about a gallon of water the day before the hike and about a liter in the morning before I hit the trail. Other things to consider in terms of hydration are salty foods and electrolytes. Many of my snacks for any trip will contain salts which are valuable to replenish electrolytes in your body, and I also ingest electrolyte capsules. I used to recommend sports drinks but feel they add too many sugars and sugar substitutes as well as unnecessary dyes. Every person is different and comfort factors will help determine which method works for you. But as I state to everyone who attempts Half Dome or other strenuous summit attempts with YExplore, you will have to move outside your comfort zone on these strenuous challenge so it’s ok to sacrifice a little comfort to add that extra layer of preparedness. Feed from YExplore Adventure Blog: http://yexplore.com/adventure-blog/.